While it may have something to do with it being a place where you’re at your most vulnerable or possibly where quality is most evident, but the condition of a bathroom is incredibly important to potential buyers. Many homebuyers are always looking to upgrade their bathroom experience from one home to the next and may even want to feel pampered, making the need for bathroom facilities to be of a higher caliber than you’d expect. Don’t feel like you’re throwing your money away on bathroom renovations as you’re almost guaranteed to recoup nearly all of the necessary expenses. More than just a device meant to close off the front of your garage, your garage door is also frequently one of the most prominent determiners of a house’s curb appeal. Not only will a new garage door make your home look great from the street, but the smooth operation of a recently-installed garage door can add a certain freshness to any home tour. This often overlooked renovation also happens to be one of the most affordable, considering its impact, usually ranging between $2,000-$4,000. 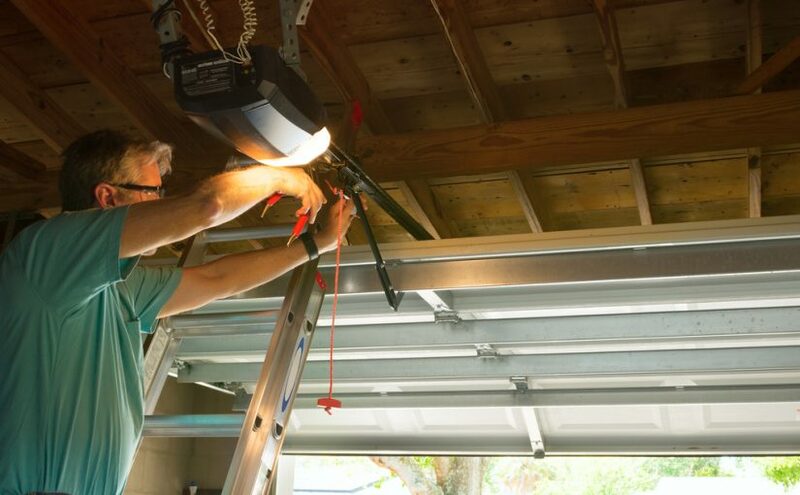 According to one study, homeowners recouped as much as 98% of the price of the garage door replacement. Even if the inside of a home is incredible, the first impression of a home is often set by the home’s exterior. In order to make your money go further when it comes to attempting to sell your home, one place to definitely not overlook is your home’s siding and paint. Replacing the siding on a home or giving your home a new paint job is a fairly inexpensive way to breathe new life into what may feel like a dated residence. Some other exterior aesthetics to consider are a few landscaping features to make the outside of the home stand out. Landscaping requires a bit more maintenance but helps give the impression that homeowners are attentive to the house. Overall, you want to aim for a welcoming feeling to your home for prospective buyers instead of waiting to them impress on the inside. Home buyers want to picture themselves living their lives in your home which is why helping them see the potential of the outdoor spaces is a must. Either renovating existing patios or even building new deck or patio structures can be a major selling feature for those who love to spend time outside. Renovating outdoor living spaces also helps any home feel larger as it provides another location for leisure on the property. Whether you want to build a firepit from pavers or overhaul an existing deck, this is money well spent when it comes to enhancing livable space on your property. If your windows are dated, they not only look too hot to buyers, but they’re also grossly energy inefficient. Because most people are not incredibly selective when it comes to the brand or model of windows they want to use in a home, this allows you to make a renovation that will appeal to most every home buyer. Even if you’re not selling your home, the money you’ll save in energy bills will nearly pay for your window replacement. It’s best to stick to the following saying for window replacement: when in doubt, change it out.